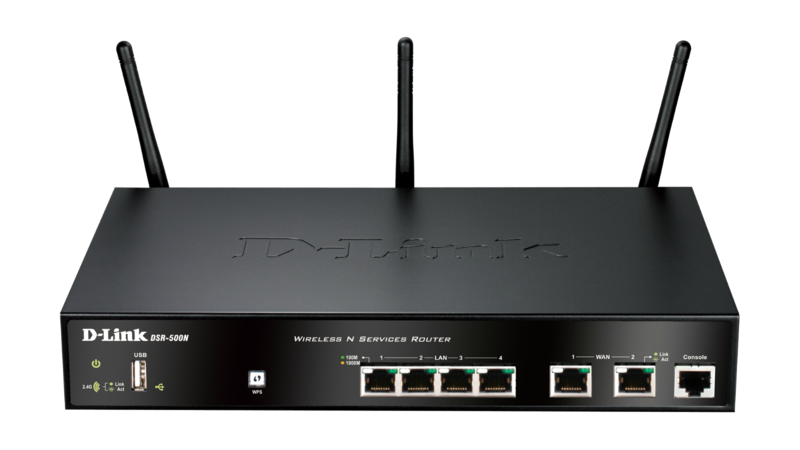 D-Link’s DSR-500N Wireless N Unified Service Router is a secure, high performance networking solution to address the growing needs of small and medium businesses. 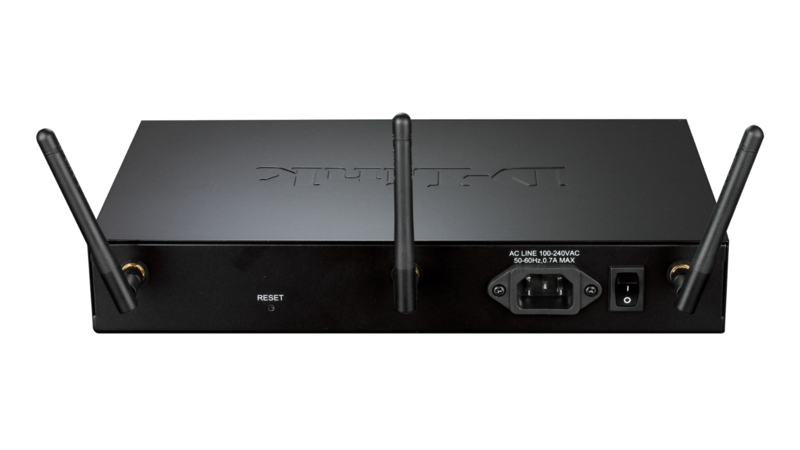 Integrating Wireless N and USB support, the DSR-500N offers comparable performance to traditional wired networks but with fewer limitations. 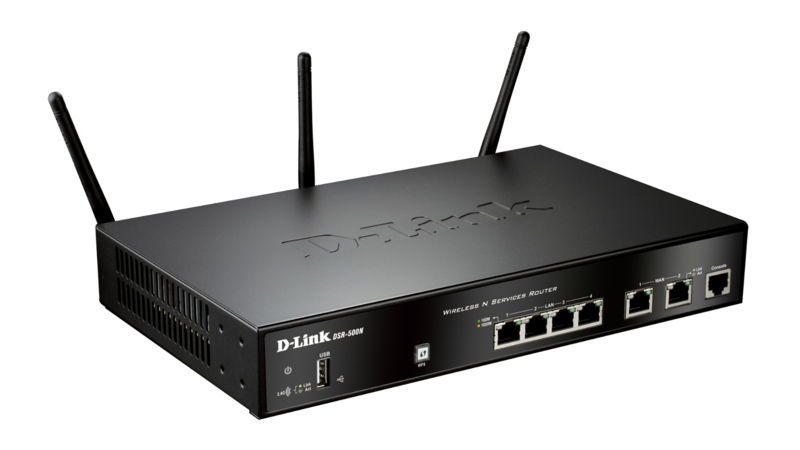 The D-Link DSR-500N Unified Services Router, high-performance networking solutions to address the growing needs of small and medium businesses. 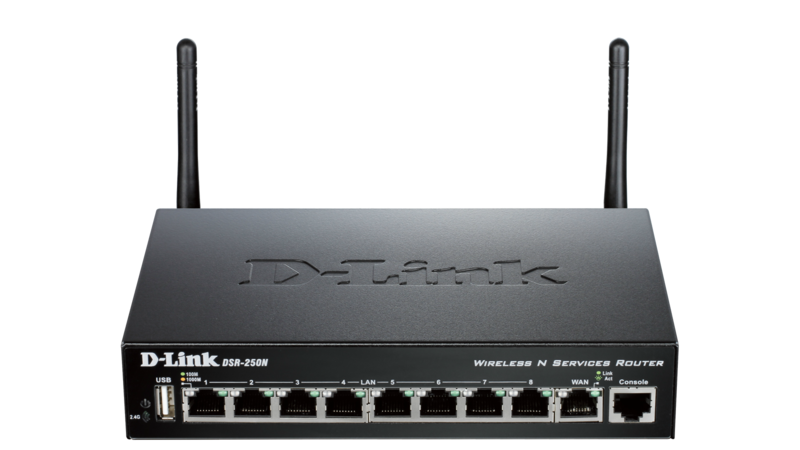 The integrated high-speed IEEE 802.11n wireless technology in the D-Link DSR-500N Unified Services Router offers comparable performance to traditional wired networks, but with fewer limitations. Each router provides optimal network security via features such as Virtual Private Network (VPN) tunnels, IP Security (IPSec), Point-to-Point Tunnelling Protocol (PPTP), Layer 2 Tunnelling Protocol (L2TP), Generic Routing Encapsulation (GRE)2, and Secure Sockets Layer (SSL). These routers also allow you to empower your road warriors with clientless remote access anywhere and anytime using SSL VPN tunnels. The DSR-500N include dual-WAN Gigabit Ethernet that provides policy-based service management to ensure maximum productivity for your business operations. The failover feature maintains data traffic without disconnecting when a landline connection is lost. The Outbound Load Balancing feature adjusts outgoing traffic across two WAN interfaces and optimises system performance, resulting in high availability. The second WAN port can be configured as a DMZ port, allowing you to isolate servers from your LAN. The DSR Series supports Third Generation (3G) networks via an extendable USB 3G dongle1. This 3G network capability offers an additional data connection for critical or backup services. A 3G USB dongle can be configured as a third WAN port, performing Traffic Load Balancing and executing automatic failover whenever the primary WAN link gets lost. A fully featured virtual private network (VPN) provides your mobile workers and branch offices with a secure link to your network. The D-Link DSR-500N Unified Services Router is capable of simultaneously managing 10 Secure Sockets Layer (SSL) VPN tunnels, as well as 15 Generic Routing Encapsulation (GRE) tunnels2, empowering your mobile users by providing remote access to a central corporate database. Site-to-site VPN tunnels use IP Security (IPSec) Protocol, Point-to-Point Tunnelling Protocol (PPTP), or Layer 2 Tunnelling Protocol (L2TP) to facilitate branch office connectivity through encrypted virtual links. The DSR-500N simultaneously support up to 35 IPSec VPN tunnels, and 25 additional PPTP/L2TP tunnels. D-Link Green Wi-Fi and D-Link Green Ethernet features save power and help cut energy usage costs. The D-Link Green WLAN Scheduler shuts down your wireless network automatically according to a schedule you define, allowing you to turn off your wireless network during off-peak hours, saving energy and keeping your network secure. The D-Link Green Ethernet feature can detect if a link is down on a port, and automatically puts that port into a sleep mode that drastically reduces the amount of power used. In addition, compliance with RoHS (Restriction of Hazardous Substances) and WEEE (Waste Electrical and Electronic Equipment) directives make D-Link Green-certified devices an environmentally responsible choice. 1 The following 3G dongles are supported: DWM-152 A1/A2/A3, DWM-156 A1/A2/A3/A5*/A6*, DWM-157*, Huawei E1550, E173, and EC306. * The dongles marked with * will be supported through firmware upgrades. 2 Available through future firmware upgrade.